Sony’s E3 press conference was relatively light on new announcements, but what it lacked in surprises, it made up for with in-depth looks at some of Sony’s most anticipated first-party titles for the PlayStation 4. The show itself seemed oddly formatted, as it took place at multiple venues, which seems like a logistical nightmare, and there were some live-music interludes that kind of worked. Here are the new titles that came out of it. 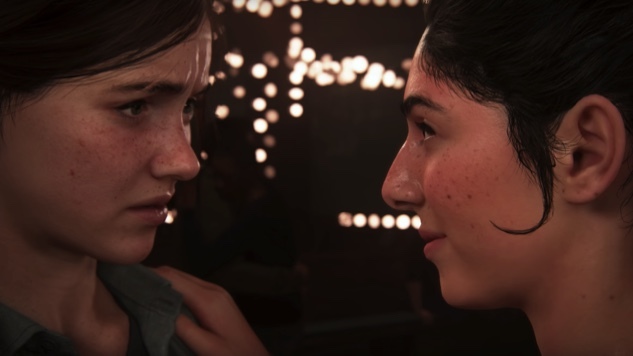 Following a hooded man plucking at a banjo, Sony showed off an in-depth look at Naughty Dog’s highly anticipated sequel to The Last of Us. The Last of Us Part 2 is aiming for our emotions—there was no showing of an official release date or release window. Infamous developer Sucker Punch aims to bring the samurai goods with Ghost of Tsushima. Sucker Punch’s version of a war-torn feudal Japan looks like it has one foot in the realm of magical realism and the other in a more harsh, muted reality. The game is without a release date at the moment. Remedy, the studio behind Max Payne, Alan Wake and Quantum Break , is back with a new third-person game. It is set for release sometime in 2019. Another no-context trailer for Kingdom Hearts 3 furthers the notion that no one knows exactly what this game is. Unlike the trailer shown at Microsoft and Square Enix’s conferences, this one showed off the Pirates of the Caribbean world—there is a CGI Jack Sparrow. A remaster of Resident Evil 2 has been a rumor for a while, so, it is good to see the one-time rumor manifest into reality. The lighting is moody, Raccoon City has never looked so good and it’s set for release on Jan. 25, 2019. Death Stranding looks like a one-way ticket into the mind of Hideo Kojima, for better or for worse. There is a baby in a tube that helps Norman Reedus see ghosts while he delivers packages. No release date yet. Nioh was Dark Souls in a version of feudal Japan that was rampant with various y?kai the player had to best in challenging combat. Nioh 2 promises a whole lot of the same and the trailer shown let players know that “Death defies you.” No release date or release window was given, but it is a safe bet that this game is some ways off, due to Nioh being released only last year. Sony wrapped up its stage show with a large, impressive demo for Insomniac’s Spider-Man. The demo showcased a prison break, with numerous Spidey villains escaping in between huge action sequences and set pieces. As a first-party title, Spider-Man is poised to be a big contender this fall. Spider-Man is set to release on Sept. 7. FromSoftware is making a PSVR game called Déraciné and that can be filed under the “most random announcements of the show” category. A short trailer was shown for Destiny 2: Forsaken, in which some bad things are set to happen to Cayde-6. With PlayStation Plus, Call of Duty: Black Ops 3 is free to download today and those who preorder Black Ops 4 will get some free maps for Black Ops 3.